I do not know many cities in the world, only a handful and I swear I am very happy, with what I have seen and experienced in each country and each culture. In the case of Greece and particularly its islands, I have lived a universe of emotions and sensations. The one that I will highlight with this image is the surprise factor, always present, at each step in each street traveled. The islands of Greece have a particular architecture, worthy of knowing. Beautiful in lines, colors and textures. The contrasts sometimes soft, other times notorious and always always beauty around. As in other parts of the world, real estate exploitation tends to affect cities. To the point that they lose identity, and it seems that culture is relegated to the background. This is something that happens in some Greek islands, in the most popular is where this is most noticeable. Although if you are not an architect or a specialist, you will only notice how different are the constructions to the typical houses of an American city, for example. And you can only fix your eyes on the landscape, splendid and radiant, and then pose in the houses so particular. 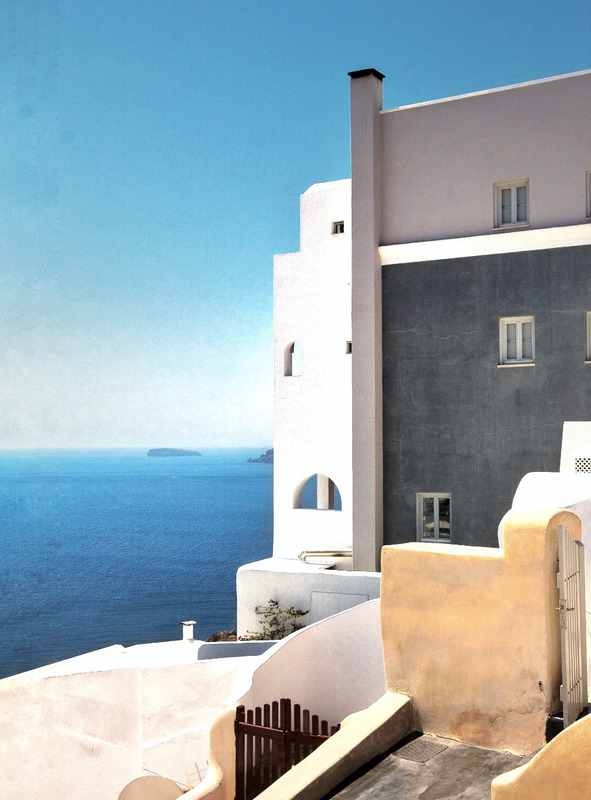 In that spiral of glances, the cyclades, landscape and architecture are at their maximum expression. Whether you are visiting a town, if you are near a beach, or in a commercial area, the buildings have their peculiar aesthetic and hardly go unnoticed. Today I told you something about my vision of architecture in the Cyclades Islands, but there are many other details to highlight of their culture. I would love to share them, because it is for me a way to relive those cozy experiences of a dream trip. And if with my story I can contribute something to whoever wants to visit these islands, it’s a joy for me. I admit to this point, that I am a fan of the Cyclades Islands, and I want to share my vision about this corner of the world. And…Which city of the world, town or corner has fascinated you?